reveals the unexpected measures that can be taken to ease a child's pain and help him grow into a healthy adult. 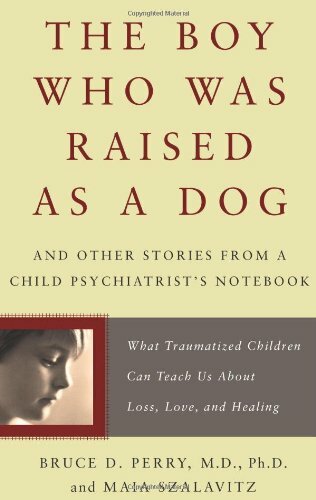 Through the stories of children who recover--physically, mentally, and emotionally--from the most devastating circumstances, Perry shows how simple things like surroundings, affection, language, and touch can deeply impact the developing brain, for better or for worse. In this deeply informed and moving book, Bruce Perry dramatically demonstrates that only when we understand the science of the mind can we hope to heal the spirit of even the most wounded child. NICOLE RUBEL has illustrated more than fifty books for children, including the Rotten Ralph series by Jack Gantos, which has been in print for more than twenty years. She lives in Oregon. "Mom Is Lying. Mom Is Hurting Me. Please Call the Police."